A date that doesn't have to break the bank. 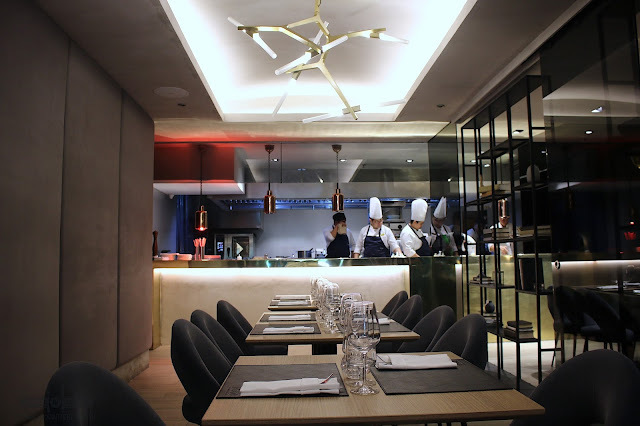 At FOO'D by Chef Davide Oldani, guests are entitled to world class cuisine without having to pay a month's wage. Ambiance is very sophisticated yet relaxing on the eyes. It may seem formal but patrons can rest up and take their time. 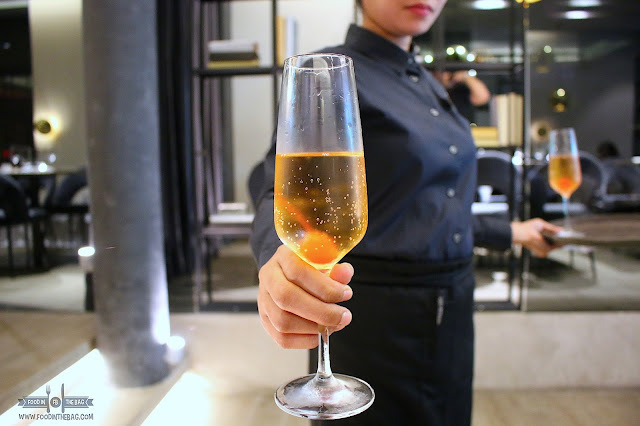 Start off with some drinks and amuse-bouche. These can take a bit off the waiting game as the food here is cooked and prepared only when ordered. In that particular lunch, a bite sized hors d'oeuvres was served. It had a hint of truffle flavor and went well with the caviar. Their in house bread is also a different story as it has a crunch outside while the innards are soft like a pillow. 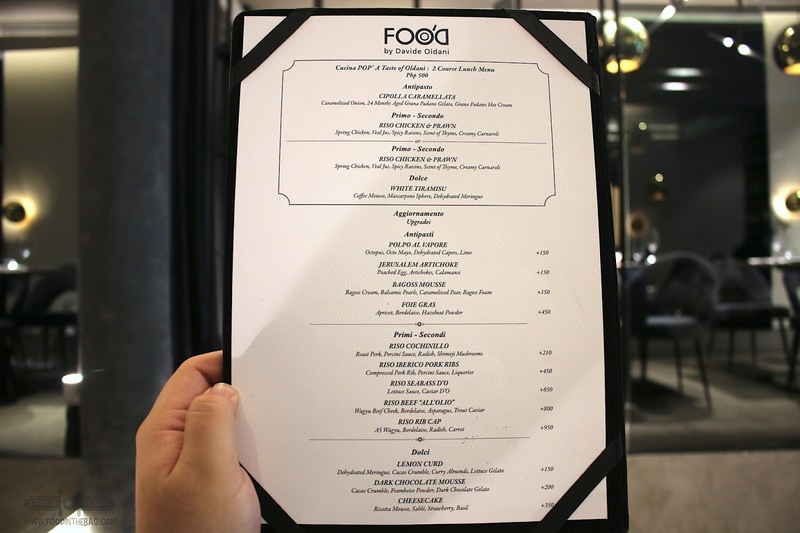 FOO'D has this concept to make guests pick the number of courses they wish to partake off. From there, they could upgrade different parts of the meal to their liking. For lunch, FOO'D started having 2 course meals to cater to the fast paced life that corporate workers have in the area. At Php 500 ++ per person, you can't beat that. 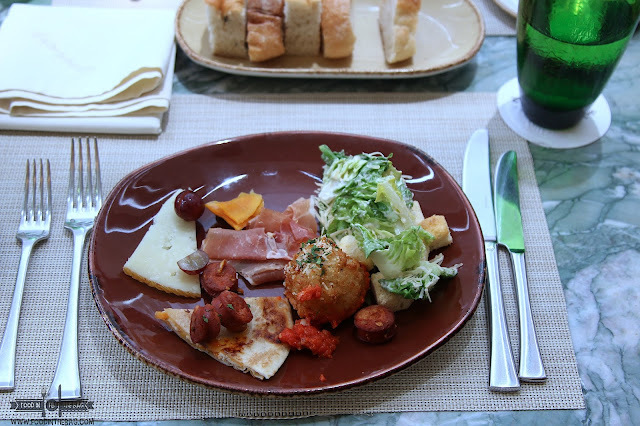 One could either pick an anti pasto or dessert to go with the main course. 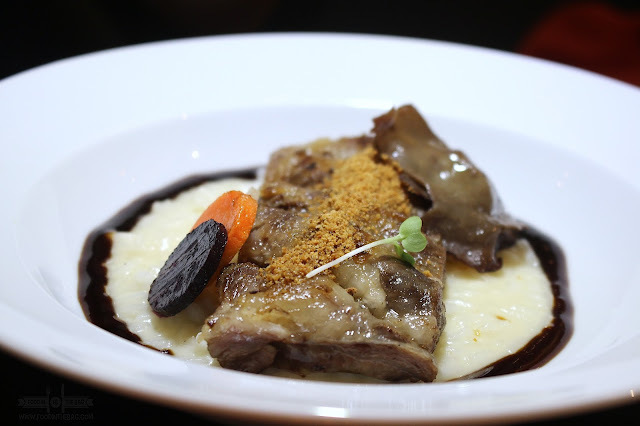 The CIPOLLA CARAMELLATA is a must as this is a signature dish of Chef Davide. A caramelized onion is prepared for 3 days. Dehyrdated, the whole onion undergoes a process to make it as such. 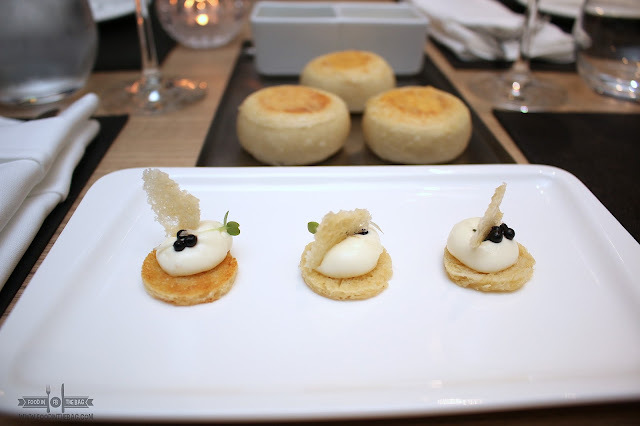 Aged grana gelato is added on top of this tart like dish. Honestly, it seemed too straightforward to begin a meal with something sweet. It's border line dessert because of the flavor but the aged grana padano gave it a salty contrast. 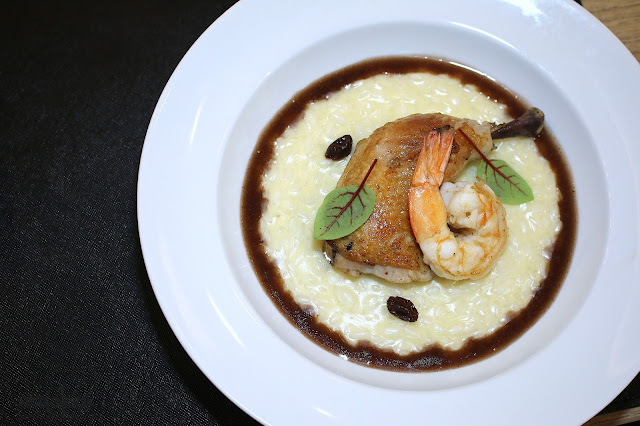 In line with the 2 course lunch menu, the main dish would be the RISO CHICKEN with PRAWN. Spring Chicken is cooked with veal jus. Placed on top of risotto, it's a mix of rich and savory parts. The shrimp just adds more texture to it. From here, it gets a bit fun. One could upgrade and change the course with different items from the menu. One maybe tempted to try the RISO COCHINILLO. Roast pork with porcini sauce on top of risotto. Here, we realize that the base is similar for all the main dishes. Risotto. Heavy and creamy, the risotto works well with anything. Making it a versatile and perfect partner for each choice. The IBERICO PORK RIBS would be very interesting. With each bite, you realize how lucky you are. The right amount of seasoning and even the muscovado bread crumbs on top makes everything work. The vegetables also gave it something different. Also, since the meat stayed very close to the bones, it absorbed a ton of flavor making it delicious. If you're going for something tender, the BEEF ALL'OLIO would be your bet. This one would make your mouth melt with delight. The meat is super tender. It's like eating cotton candy. 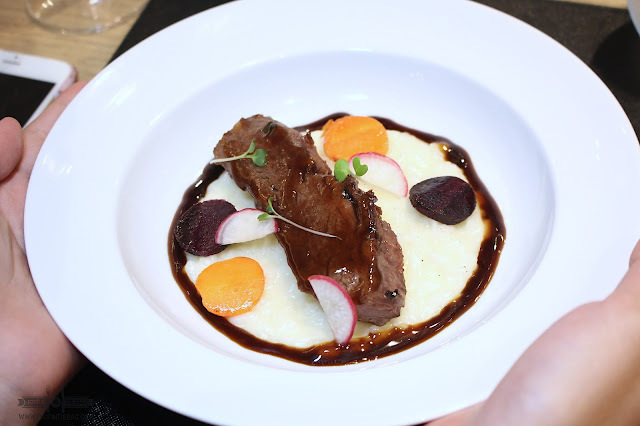 Wagyu beef cheek is used together with bordelaise. Topped with trout caviar, it gets amazingly decadent. The most expensive upgrade you could go for would be the RISO RIB CAP. 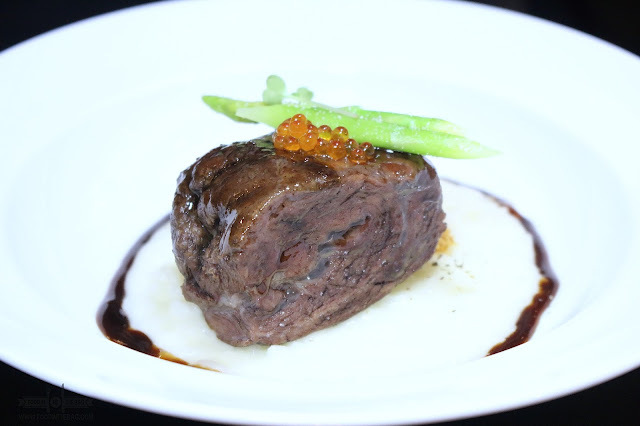 A5 Wagyu is cooked quite similar to the beef cheek. Steak lovers would enjoy this. 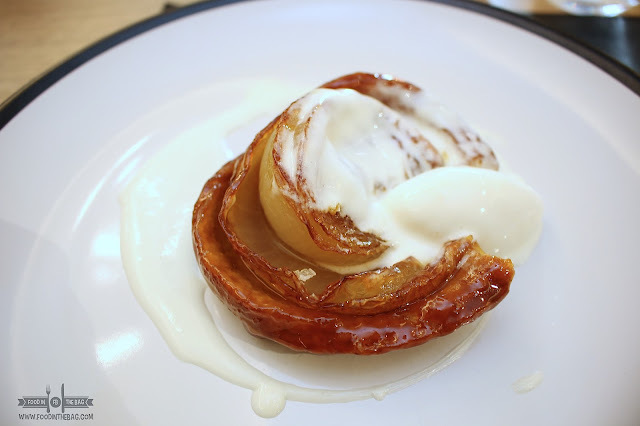 For FOO'D dessert is an art. Each time it goes out of the kitchen, it must be a masterpiece. Something to that effect would be the very curious LEMON CURD. The merinque is extremely crunchy because of the dehydration technique used on it. Lettuce gelato is also on the sidee with cacao crumble and curry almonds. To eat this dish, one must get all the parts in one spoonful. Having just one part like the lettuce gelato can be a bit too much on your senses. 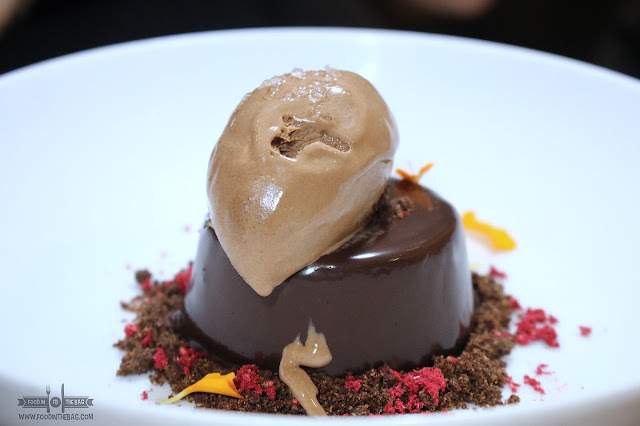 The DARK CHOCOLATE MOUSE is somewhat normal as you could get this particular texture and flavor in other restaurants. Having salt creates this contrasting flavor to take the umay or sated factor out. The CHEESECAKE though is another thing. Ricotta mouse, sable, strawberry and basil is mixed in this delicate product. 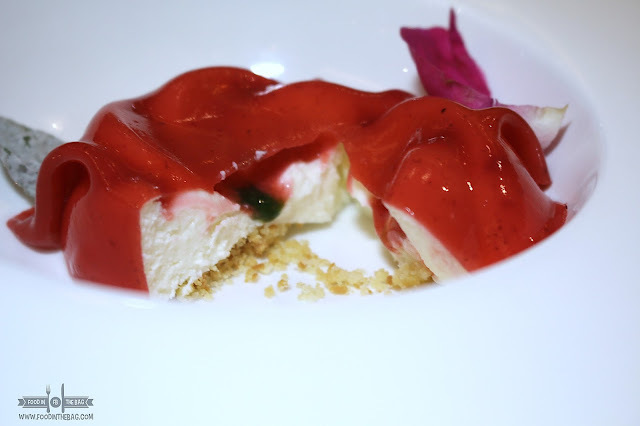 The cheesecake itself is covered in a red gelatinous top. 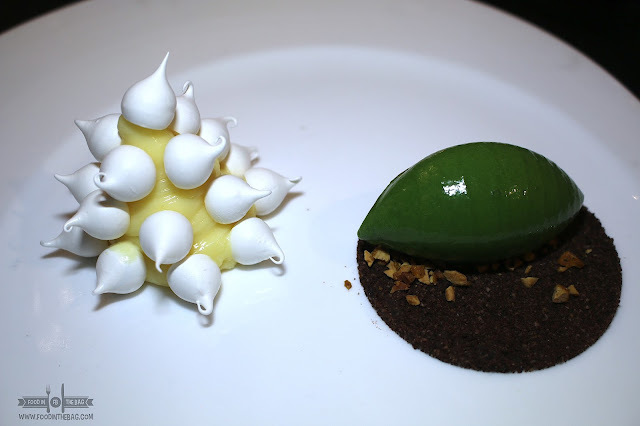 The flavors are very sublime yet not over the top. This is very very very good. 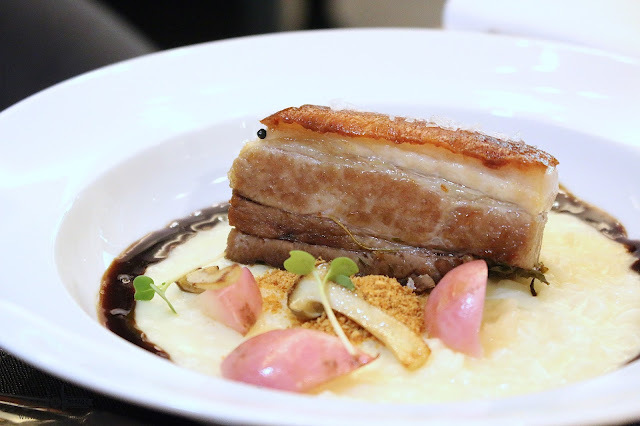 FOO'D is a high end restaurant that serves affordable degustation style dining. 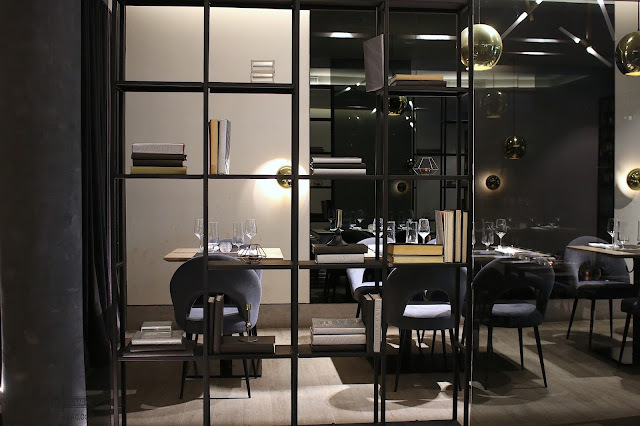 Granted that it can only take in 50 diners at a time, they have 2 seatings during dinner. 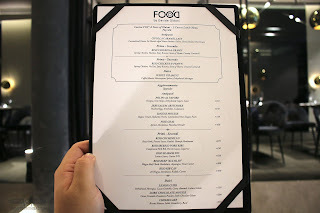 At 500 Php for lunch and 800 Php for dinner, FOO'D makes it very accessible for anyone wanting to try it out.